If you are bored with the old look of your kitchen cabinet and you want to get a new look from it, then painting the kitchen cabinet would be a good idea for you. But it is also necessary that you do this painting work in wiser manner so you can get the best result from it. To assist you more in this work, I am sharing 6 tips for painting Kitchen Cabinets and with these tips you can easily pain your kitchen cabinet in a perfect manner. 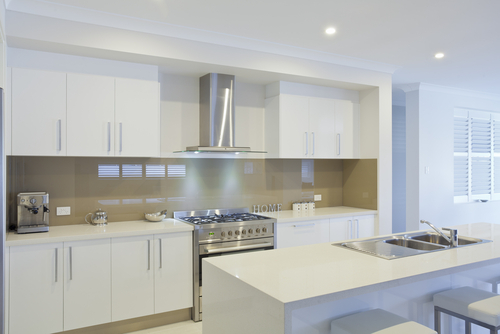 Do the preparation: Before painting your kitchen cabinet you need to do some preparation. In this preparation first you need to make sure that the room in which you are doing the painting work is well ventilated so fumes can go out after painting is completed. Also, you will need to remove all the hardware’s from your kitchen cabinet before doing the paint work. So, remove all the hardware such as knob, handle and other similar material from your kitchen cabinet. Do the cleaning work: Once you do the preparation work for your kitchen cabinet painting, then you need to do the cleaning work. In this cleaning work first do the cleaning of your kitchen cabinet with the help of liquid detergent or some good quality cleaning agent. After using cleaning agent, clean the cabinet with a damp cloth so you can remove the cleaning solution from it. After this use some good quality grit sand paper and get a dull finish using this sand paper. Apply primer: Before painting on any surface it is always a good idea to apply some oil based primer on the surface so you can get long lasting paint from it. So, find good quality oil based primer and then apply it on the front kitchen cabinet door, and then apply it on the back of the door using a brush and roller. After this apply the primer on rest of the kitchen cabinet and let it dry by itself. Once primer is dried, then take the sand paper sand the kitchen cabinet lightly to get fine finish and remove all the dust using a dry cloth. Prepare the paint: To paint your kitchen cabinet using oil based paint, first you need to prepare the paint for this. For doing this, you can simply add thinner in the paint and then you can do the painting once you get right consistency on paint. But when you add thinner, then either follow the guidelines suggested by your paint company, or add thinner slowly in your paint. Once you get right consistency for the paint, then you can go ahead for next step that is painting. Do the painting: After you are done with primer work, then you need to do the painting of your kitchen cabinet. In this process of painting, first you need to paint first coat of the paint on your kitchen cabinet. You can do this painting work just like you painted or applied primer on your kitchen cabinet. Once you apply first coat of your painting, then let it dry and after it is dried completely give it a fine finish using a grit sand paper. After this remove all the dust with a damp cloth and apply another coat of paint on it and let it dry for at least 24 hours. 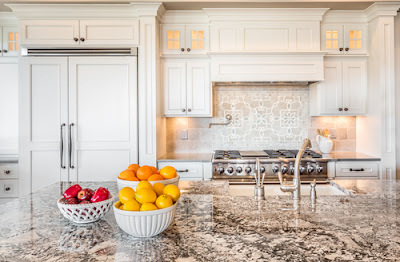 Give the finishing touch: Once you are done with all the other things, then you just need to give the finishing touch to your kitchen cabinet. In this finishing touch first you can rub off all the bubbles using sand paper. But when you do this, then do it lightly so you do not sand off your newly painted kitchen cabinet. After this you just need to add all the knobs, handles and other things in your kitchen and you can use the kitchen for your use. If you feel that your kitchen cabinet still smells bad due to paint or thinner, then you can leave it for another 24 hour to 48 hour in a ventilated room before using it again. And in this time all the bad smell will go away and you will get a newly painted kitchen cabinet that will be ready for your use.